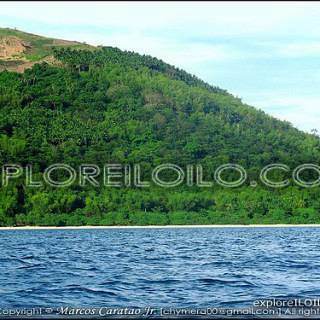 For travelers planning on visiting Iloilo, the islands of Concepcion in Northern Iloilo is one of the “must sees” in the Province. Even though I’ve been there a considerable number of times already, I just can’t get enough of it! Here’s my recommended 2 days and 1 night (overnight) itinerary when in Concepcion, where you can experience white sand beaches, clear waters, long winding sandbars, island hopping tours, coral gardens, fresh seafood, simple island life, and very friendly locals. With this itinerary, you’ll be able to travel to Concepcion from Iloilo City, go on an island tour of at least 4 breathtaking islands, sleep in Sandbar (Bulubadiangan) Island Beach Resort, and then go back to the city the next day. 6:00am – Ride HPQ Bus to “Concepcion” from Tabak (Northern Iloilo) Terminal in Jaro District, Iloilo City. The fare is P110 (one-way) and the ride lasts for around 2.5 hours. You can leave at a later time but it’ll mean spending less time in the islands. Last trip is around 3-4pm. 8:30am – Arrive in Concepcion. By this time, you should buy food/supplies for your overnight in the islands and contact Sandbar Island Beach Resort of your arrival. Mobile: (+63)9068197516. Contact Person: Sonny. Food! There are no stores or restaurants in Sandbar Island so you need to buy/bring everything you need in the mainland before heading out. There are small convenient stores, wet/dry market, and carinedrias (local eatery) in the town proper of Concepcion where you can buy food, condiments (oil, spices, sauces etc..),cooking materials (charcoal), plastic dining wares, and other stuff. You can borrow pots/pans from the resort. If you don’t want (don’t know how) to cook your own food then you can buy uncooked food in the market and have the resort cook it for you (for a minimal fee) or have your food catered by one of the locals who runs a carineria in town. His name is Biboy and you can contact him at +639287251505. 9:30am – Ride pumpboat to Sandbar Island Beach Resort. The resort has a small boat, which could accommodate up to 8 persons. The price for round trip transfers is P1500 (small group) and P2,000 (larger group). 10:00am – Arrival in Sandbar. You probably might want to dive in the water for a swim but you have to contain yourself a bit longer to settle in your cottage. They have basic cottage with double beds and a bathroom for P800/night. If you want, you could also just pitch a tent for P300/tent/night and just use the common bathrooms. 1:00 pm – Island Tour for the whole afternoon. A visit to Concepcion is not complete without a tour of the other islands. You can arrange the islands you want to visit but I recommend not missing these three other islands: Agho Island, Malangabang Island, Pan de Azucar Island. It costs P1,000 to rent the whole boat for the afternoon. Agho Island. P300 entrance fee with use of cottage for the whole group. There’s a sprawling coral garden at the southern side of Agho but you need to go there by boat since it’s quite far from the beach and you sure-as-hell will get stung by sea urchins along the way. Malangabang Island. If you missed to buy some stuff, there are a few sari-sari stores and fish vendors on the island. You can even buy cool servings of halo-halo here. Pan de Azucar Island. Tell the boatman to drop you off at Tambaliza. Once there, you can ask one of the locals to take you to Hampangan Rock, where you can get a nice view (vista) of the islands and get an up-close encounter with the towering Pan de Azucar Mountain. 5:00pm – Head back to Sandbar Island. Overnight at Sandbar Island Beach Resort. There’s electricity at the resort but it only powers the light bulbs. There’s no charging (for electronic devices) at the cottages but I suppose you can request to have your electronics charged at the owner’s house if you really need to. 6:00am – Low tide at the Sandbar. This part should not be missed! 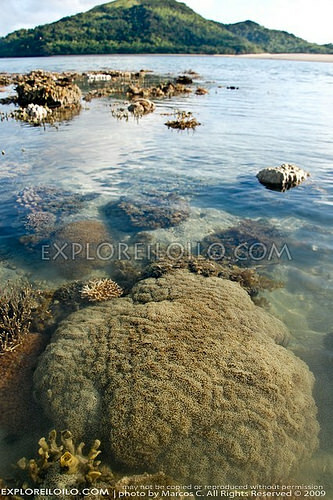 During low tide, you can wade into the water a few meters from the sandbar and see a sprawling coral garden. Morning – Circumnavigate Sandbar Island (30 minutes) or bum out at the beach. Afternoon – Ride bus back to the City. At this point you can decide when you’re going to leave the island but be mindful that the last bus to Iloilo City from Concepcion is around 4pm. 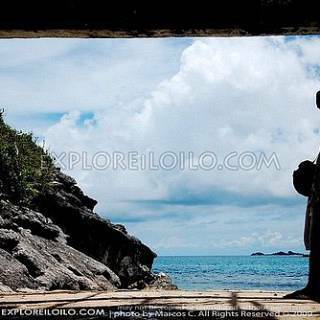 Learn more about Concepcion, Iloilo. If your looking for a place to stay in the city, here’s a list of Iloilo hotels. Wow! This is quite an intensive guide for an overnight stay in Concepcion matched with beautiful enticing photos. I’d been to Concepcion but never been to small islands. I’d been to Isla Gigante in Carles but that was all about it. Thanks :) The small islands are worth the visit. 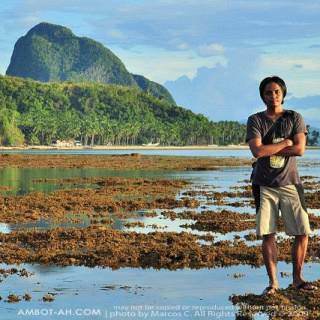 My favorite in Agho Island. 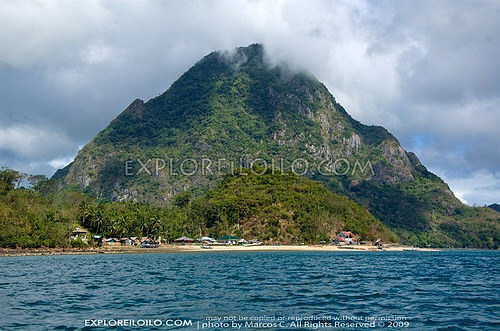 I wish I can go back to Carles, I’ve only gone to Island Gigantes Sur and a few other islands. I’m very curious about Balbagon and Sicogon Islands. Agho Island looks stunning. Gotta add this to my travel bucket list! MO2 is in the middle of Smallville, so there’s a lot of places to go there at night. During the day you can do a city tour. In the afternoon, you can catch the sunset at Treñas Riverside Boulevard, which is also near MO2. i’ve been reading a lot of ur blogs and it’s very informative. i’m actually working in Iloilo but haven’t been to Concepcion. Now we’re planning to vsit on July 9th. I’d just like to know from ur first hand experience, is the beach rocky… Or is it like Boracay? Smooth sand? Pls help us out. Thanks. There are beach coves that are rocky but mostly the sand is fine. 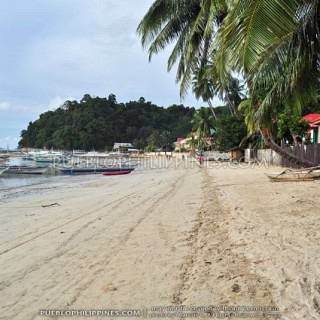 Though not as fine as Station 1 in Boracay … is more like Station 2, 3, or Bulabog Beach. thanks for the info. i texted sonny and was informed that we will have to buy food from the town. are the seafood relatively cheap or is it expensive like in Boracay? Do we need to bring drinking water too? Is it true that the water for showering is also “semi” salted? Inputs will be much appreciated. Seafood at Concepcion town’s wet market is cheap … marginally cheaper than Iloilo City prices and moreso compared to prices in Manila and Boracay. Yes you need to bring drinking water, lots of it. They use salt water in the bath area but you can also buy fresh water from the resort for bathing/rinsing. The price per container is minimal. Thanks so much for all the information. It’s a great help to us. Back from Sandbar!!! Grabe, it was AWESOME! Very private, it was actually me and my bf there they didn’t have any guests during our stay. First night we stayed at the closed cottage, only to realize it was hot (no power at night except for a few lights outside) so 2nd night we transferred to an open cottage w/c was way better and cooler. Didn’t mind the salt water for banlaw, it was actually saved rain water but still semi salty. Loved the place so much, very primitive and but that’s what I like, para bang panahon ni Eba at Adan Hahaha!!! basta beach lang ok na. Good service from Kuya Sonny and his son Rex. They are very accommodating and always attentive to our needs. Ur blogs here really helped us a lot especially we are not from Iloilo ;) For 3 days and 2 nights, we only spent less than 4K. Go to Sandbar, it’s GREAT! Estancia Port is the main jump-off point to the islands of Carles. Unfortunately, I don’t have much details about accommodations in Carles. If you’re looking for a place to stay in the city, Ong Bun Pension House is a cheap but decent place. Great help! thanks much…. can’t wait to go there! from SFO, start with PR 105.. If push comes to shove, pwede siyang whole day na trip pero halfday … It’ll be tricky since travel time alone to Concepcion is already 3 to 3.5 hours by bus or 2.5 to 3 hours by private car. How much would it cost us if we take van from Iloilo airport to tabak terminal? resorts in guimaras? and how to go there? sorry super many inqueries.. Thank you very much for this post! Very informative and timely coz we’ll be at Iloilo this coming March and i really don’t know what to do and where to go. This post will definitely be a great help for us. Thank you, Thank you! Very interesting! 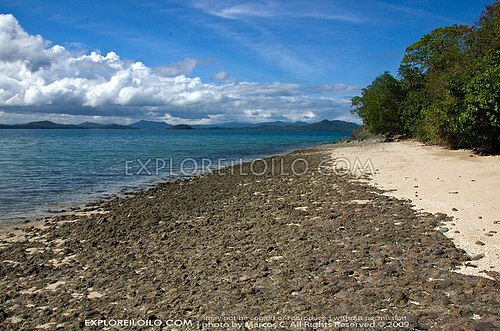 Would you recommend trip to Concepcion from guimaras island? Thanks Diana. Welcome to Iloilo nlng in advance! I love this place ,water is so clear, so cool, i love collecting shells, playing with colorfull corals and so relaxing you will forget all your worries, really far from stress, from the city pollution, it’s a paradise for me , my fiancee and i spent bonding a moment in this place a i want to go back and feel the serenity in this island. I agree shan kahit ako hindi nagsawa pabalik2x sa Concepcion. Wala nako ma hambal sang amon nga lugar sa concepcion di kugid pag ibaylo bisan ano pa nga lugar isa lang ang akon gina handom kag gina ka hidlawan ang akon banwang nataw-han CONCEPCION ILOILO city Proud to be an ILONGGO. Ok lang … Concepcion is protected from the currents of the open sea because of the many islets that surround it … sort of like a natural harbor. Expect there’d be a high chance of rain in August but its still safe to travel to the islands … not unless may bagyo talaga, in which case, take precaution when traveling (in general). Hi! 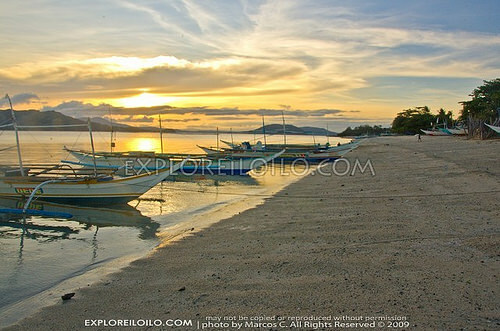 we are going to visit iloilo next month and we only have 1 day to explore the city. Do you have any suggestion/s on how we could maximize our visit? I hope you could help us. Thanks! 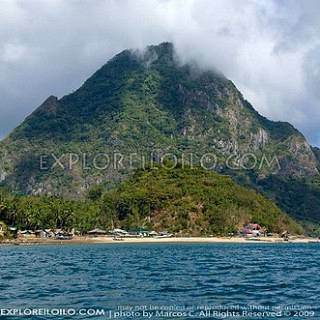 Bulubadiangan is just like any other island in the Philippines. Depende talaga yan sa weather, I give you guarantee that you’ll be able to sleep soundly. My suggestion so you’ll enjoy the trip better is to stay at one of the pension houses/hotels in the mainland like Hotel Junbee http://www.exploreiloilo.com/stay/info/hotel-junbee/ then go island hopping during the day. hi, this blog is very informative. this overnight itinerary is ideal for adults. do you have suggestions if there’s children ranging from age 1 to 4? is it possible to do island hopping from morning up to pm? is it possible to go through all your suggested islands without staying overnight at sandbar? I suggest spending the night at the mainland, where is more convenient and renting a pumpboat from the fish port in Concepcion town proper. See comment above. hi! 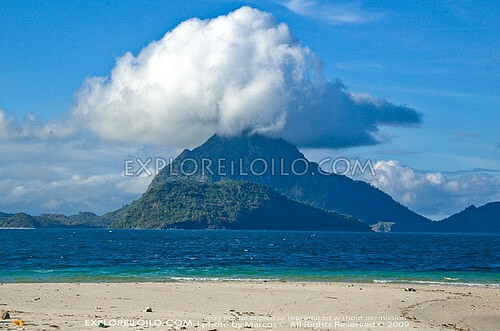 i’l be in iloilo on october as a solo traveler. i plan to go to concepcion. overnight lang. 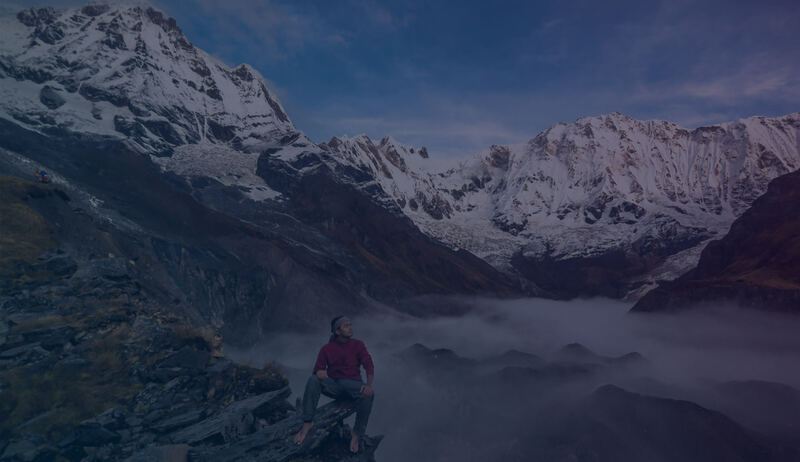 would it be safe for a female solo traveler? thanks! yes its safe. Kuya Sonny and his family are very accommodating. Hi, i would just like to ask if this can be a getaway for two? for maybe 3 days? if so, around much would that cost? The reply would be very much appreciated! hi, recently nagbago ba ang rates sa sandbar? or ganun pa rin?? Not sure. Better contact nong Sonny. hello! kakatawag ko lang iba na nga ang rates– 1000 half day island hopping– 800 small cottage– 1000 big cottage– 1500 pasundo. kalurkey! sir marcus, ok ba magdala ng sariling tent dito? papayagan kaya ako magcamp magisa? oo okay lang mag camp. They charged P300 per tent but that was two years ago. I’ve been there 2 weeks ago with my family and friends. We stayed overnight, it was a real fun experience. Next time i go back to the Philippines i will definitely go visit Carles. Cool! Glad you were able to explore this side of Iloilo. I’m hoping more people would also get to experience this other side of the province. 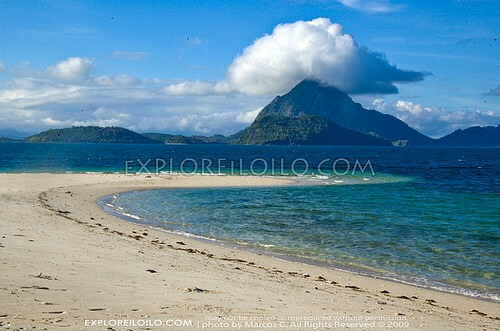 Hi, i will be going to iloilo on october this year with my wife, can you guys suggest itinerary for 3 days 2 nights. i will appreciate it so much. thank you. Better contact Nong Sonny na lang. we celebrated my grandpa’s, my 2 cuz’ and my aunt’s bday here last feb 10 ’12.. truly breathtaking.. as long as the weather is good..
nakakapagod ang travel… pero worth it pg andun ka na..
planning to visit and spend another summer escapade there.. I felt the same when the first time I visited Concepcion. It keeps you coming back for more! was there an entrance in each islands aside from island hopping charge? There’s an entrance fee for Agho (P300 for whole group) and Sandbar Island (there’s no entrance fee if you’re staying there. If not, I’m not sure how much they charge). hi.. we will be going to Roxas City this November.. We’re planning to go to estancia for Isla Gigantes and plan to go to Concepcion.. Would you know how can we get from roxas city to estancia then estancia to concepcion? would you know how many hours will be our travel time? thanks. There are buses from Roxas that go directly to Estancia. Travel time is one hour. From Estancia, ride a bus/jeep to Sara terminal (ask the driver first if the bus will go to Sara, you don’t have to drop off at Estancia if the bus is going to Sara anyways).From Sara, ride the bus to Concepcion. Thanks Marcos.. I hope kayanin ng time namin to go to these two places.. I think I just need to manage our ITI properly..
Salamat sa blog mo, ngayon alam ko na dapat ko puntahan sa trip ko next month. Do you think pwede pang babaan yung charge sa boat? 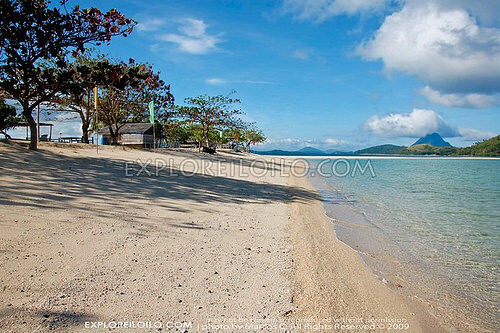 Solo traveler kasi ako and well budgeted and tip ko pero super excited na ko explore the islands of concepcion…..
Not unless you join a group that’s renting the boat then it would be hard to go to Sandbar cheaply. Try to contact Nong Sonny and ask if they have group bookings that are willing to let you hitch or if there are regular passenger boats to Pulupiña Island that can drop passengers off at Sandbar, which is along their route. Hello, I’ll be travelling solo from Jan.24,2013-Jan.29,2013 for the Dinagyang Festival. Since i’ll be staying for a couple more days after the festival, I might go for a day tour to Sandbar. I just want to know if Sonny Eusala’s number is updated? Do you have any contacts in Iloilo/Concepcion in case I get lost or something while on my way to the island? Would greatly appreciate your speedy response. This is very informative by the way, great posts! Contact numbers are still the same. I advice contacting them directly for the latest rates. from roxas city you can take a bus and drop by the municipality of Sara. There are passenger boats going to Igbon and you can request the boatman to drop you off to Sandbar. locals pay 20.00 fare to Igbon and boatman may ask your group 500.00 but its just about 5-10 mins boat ride and 200-300 for a group or 50.00 each should be fair.